Bathco is the global leader in the Bath Material market. Bath Material is the electrolyte component used in the Hall-Héroult process for industrial production of aluminium. Bath Material is also commonly referred to as Secondary Cryolite, Crushed Bath, Bath Cryolite, Pure Bath, Bath and tapped Bath Material. Surplus Bath Material is generated during the aluminium smelting process as a result of high Sodium (Na) content in the alumina. Surplus Bath is liquidly tapped and then crushed to be reused by other smelters or to compensate for electrolyte losses. Bathco is the global leader in Bath Material as a service provider and as a neutral player that acts to balance the international supply and demand for Bath. 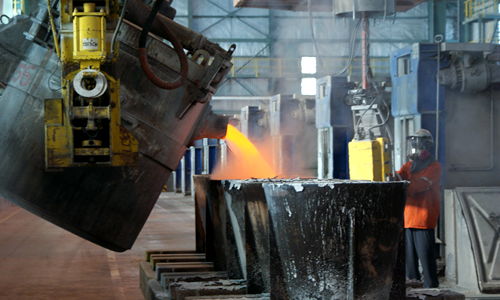 Our unmatched perspective of the challenges facing consumers and suppliers, as well as our neutrality within the supply chain, allows us to utilize our unique and in-depth expertise to analyze and solve virtually any problem within the electrolysis process during the production of aluminium. We can partner with any supplier and contract with any consumer to balance supply and demand of Bath Material on a global scale. And through our collaboration with a large community of smelters who provide surplus Bath Material, we can guarantee the highest quality and timely delivery whenever you need it. Our goal is to provide customized, effective solutions to our clients worldwide to optimize their processes and reduce their costs.